Fans in the UK! 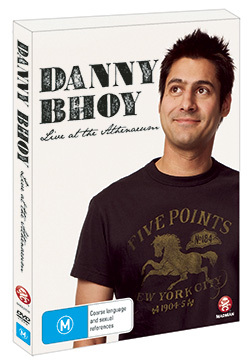 Buy Danny’s new DVD Live At The Festival Theatre from Amazon or Play! Please note that the UK DVD is a Region 2 DVD in PAL format, and may not be viewable outside Europe – click here to see more about DVD regions. The DVD is now available in Australia and New Zealand from JB HiFi, Sanity, Mighty Ape, and is also available to download in Australia from iTunes. 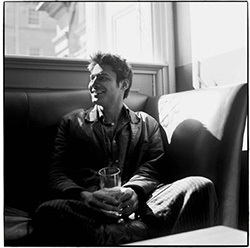 Live at the Athenaeum is the anticipated follow up to Danny’s 2007 debut DVD Live at The Opera House. The show, filmed at Melbourne’s historic Athenaeum Theatre during his sold out tour of Australia 2009, contains more memorable tales from the globe-trotting Scotsman in his finest performance yet to date. Sometimes introspective, occasionally outlandish, but always hilarious, these stories from his life are sure to leave you with a smile on your face and wanderlust in your heart. The DVD also includes a special unreleased ‘Visitor’s Guide to Scotland’ as well his famous ‘bagpipe routine’ and a photo gallery. Live At The Athenaeum is also available as an audio album from iTunes, Amazon MP3 and many other music download services, as well as Spotify! Please note: Live At The Athenaeum and Live At The Sydney Opera House are not region-encoded and can be played worldwide. However, discs must be played in a PAL-compatible unit and will not play in NTSC units.Almost all computers and laptops with a DVD drive will play these discs, even if you live in an area with NTSC broadcasts and DVDs such as the USA or Canada. However, please check with your computer’s manufacturer to be sure that your computer will play a PAL DVD before you order as we cannot be held responsible if the DVD does not play. 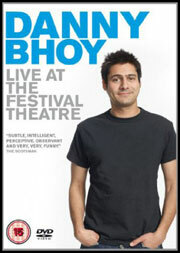 Own this exclusive live performance of Danny Bhoy at the Just For Laughs Festival in Montreal 2007. This debut full-length solo show in North America features some of his ‘best bits’ from previous festivals. Not available on general release. Available through iTunes, Amazon MP3 and many other music download services, as well as Spotify!